Last night mimo (AKA Brent) spoke at the Park Slope Civic Council’s ‘Growing a Business’ initiative at the Montauk Club in Park Slope. Here’s the notes we put together for the event and some thoughts that came afterward. Blogging (with WordPress) is the natural evolution of the lighter publishing methods — at some point you’ll have more to say than fits in 140 characters, is too important to put in Facebook’s generic chrome, or you’ve matured to the point where you want more flexibility and control around your words and ideas… Different mediums offer different messages. The most important part of the quote above (to us) is: (your message) is too important to put in Facebook’s generic chrome … A good and experienced Web Developement Company is really important as for Having a website/blog lets you brand your ideas in a way that you can’t on social media sites, if you don’t spend time/money on that brand, your image is less likely to be taken seriously and you also want to attract the right customer by having a appealing web design look, and a good SEO or search engine optimization which will help the market expand their visibility so you can be find by more possible customers and reach out to more. With WordPress you can have a powerful website builder, which has evolved throughout the years to a robust content management system to power their websites. WordPress has become (by far) the most popular Content Management System for making websites. It’s literally a joy for web developers to make templates for this system, you can have any look imaginable, and it’s not a pain to implement it. 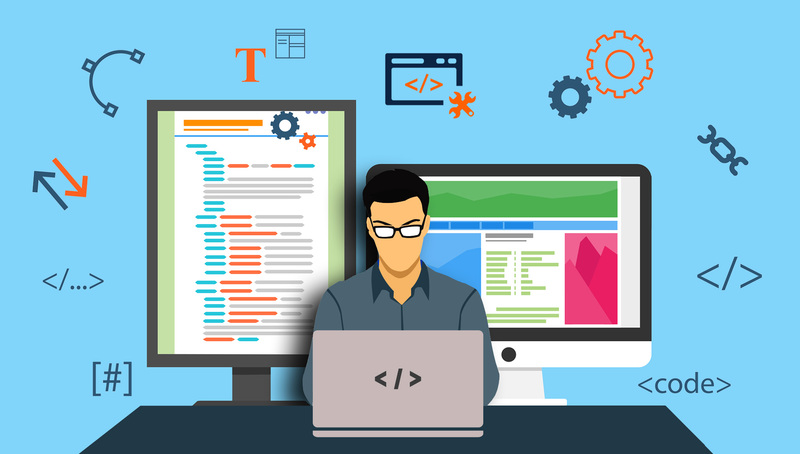 Of course it is always better to find a proper professional website developers which helps you improve and make a new market for your service or business. Business teams and small businesses should make their employees admins on their facebook account so they don’t need to do all the work themselves — instructions for making someone a facebook admin. I’m not trying to say that you shouldn’t be using Twitter, just that you absolutely need to be using Facebook. Twitter has it’s place and connects you to different people. You need to find a way to effortlessly integrate social media into your everyday routine. You have a blog, you have a Facebook account, you have a Twitter account… there’s not really much of a point to have all these things if they’re just going to accumulate digital dust… sometimes you do need professional help, and this is one of those cases, so make sure to check the digital agency listings if you want to save your online business. If you find yourself taking notes on paper or in text documents in your computer that somehow relate to your business, change over to writing them as blog posts. The benefit of this is that they will be archived automatically so you can search for them later, you’ll also be able to drive more traffic to your site because these posts will have keywords in them that are relevant to your business. Also people might comment on them and you’ll make new connections. Look at your Facebook wall EVERY DAY as part of your routine. Find ways to connect with people through your posts. If you’re not finding this easy to do, keep at it or have someone else at your business keep up with it, no excuses. You should link up your Blog and your Facebook account so when you publish a blog post it automatically shows up on Facebook. It’s a legitimate concern. If you feel like what you’re writing is going to annoy people you’re probably right. It takes a certain skill to be able to talk about yourself and your business so if you don’t have it you should hire someone to do your PR person, this could even be new junior level employee you already have.